​Cardiff City welcome Chelsea to the Welsh capital on Sunday afternoon for the return of the Premier League. ​Chelsea went into the international break on the back of a weak display against ​Everton as they fell to a 2-0 defeat at Goodison Park, and Maurizio Sarri cannot afford to drop more points in the race for the top four. 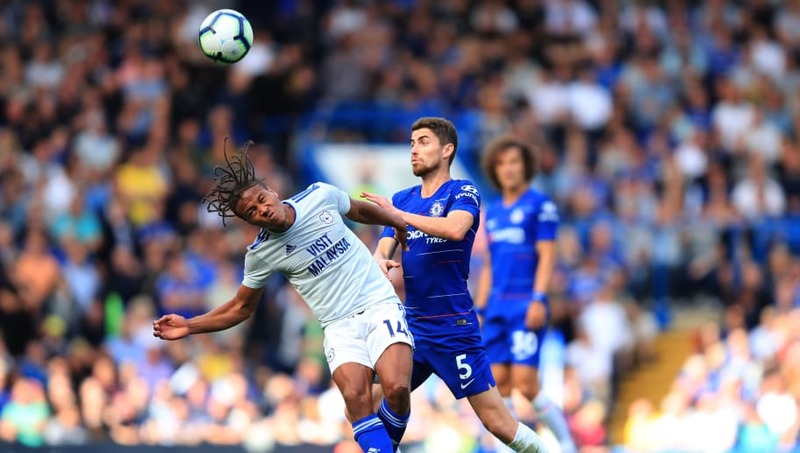 The Blues could be four points behind ​Manchester United at kick-off time in Wales, while ​Cardiff will be praying ​Wolverhampton Wanderers can pick up three points away to relegation rivals ​Burnley and give Sunday's hosts a chance of escaping the relegation zone. Check out 90min's preview of Sunday's ​Premier League clash below. Sarri has a near full squad to choose from, but for another back problem for ​Ruben Loftus-Cheek which forced him to withdraw from the England squad. All eyes will be on Callum Hudson-Odoi who earned his first cap for the Three Lions before even starting a Premier League match for Chelsea. Several players including ​Cesar Azpilicueta, ​David Luiz and ​Willian were not called up by the national team and enjoyed a full two-week break from matches, which is likely to sway the Blues boss' team selection. ​Cardiff City ​Etheridge; Peltier, Morrison, Manga, Bennett; Ralls, Camarasa, Arter; Mendez-Laing, Niasse, Murphy. ​Chelsea ​Kepa; Azpilicueta, Rudiger, Luiz, Emerson; Jorginho, Kante, Barkley; Pedro, Higuain, Hazard. Cardiff have taken the lead in each of the last three meetings between the sides, with Sol Bamba scoring first at Stamford Bridge earlier in the season, only for ​Eden Hazard to inspire a comeback, bagging a hat-trick as the Blues ran out 4-1 winners. The mood around Stamford Bridge was lifted after the Carabao Cup final and back-to-back victories over ​Tottenham Hotspur and ​Fulham, but a disappointing 1-1 draw with Wolves and the Everton defeat has once again cast doubt over Sarri's credentials. However, individual players go into the match on the back of impressive goalscoring performances for their countries, including ​Ross Barkley, Eden Hazard and ​Olivier Giroud.